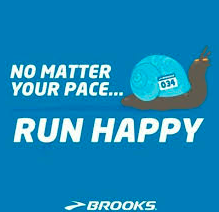 Find some running inspiration with a run at Inspiration Point and check out why Brooks believes no matter how you run, you should run happy. Runners will have the option of going on the paved Nimitz Trail or run up the road to Sea View Trail and back. Our Brooks rep will have demo shoes to cushion, support or energize your run. All paces welcome! Try out the Ghost, Ravenna, Levitate or Adrenaline GTS on the out and back bike path. Run starts at 6:30 but we still welcome the fashionably late!